Home > Blog > Find the Right Price for VALET AIRPORT PARKING. Find the Right Price for VALET AIRPORT PARKING. Finding out the right price of a Valet Parking services is brutal to say the least. Every site gives a different set of services at a price of their own. This cause 2 types of issues. You have to figure out the services being provided at any given site matching all your requirements, if it doesn’t you have to keep looking, visiting site after site for what you need. But if you do find the one, you move to the next issue and check and wonder if the service tariff falls in your budget outline or whether you could make it so via a few changes in your travel plans here and there. Check out the variety of results you get for the Valet Parking service for equivalent date and time. Even if you do go through all of this trouble there are certain things you need to watch out for. Make sure you don’t end up on a scam site by checking for the approved operator stamp of BPA. Go through the set of service description and compare it to your requirement. Note: If there are no descriptive statements about the service, BEAWARE. Always check if the price displayed is inclusive or exclusive of all the charges. Never make a reservation on the first site you visit, at least not without confirming the price. Some other service provider might be offering a similar service at comparatively less price. It sounds hectic, doesn’t it? It feels like that too. But there is a way to dodge this bullet of disappointment. Make you online parking reservation via comparison parking site. There you can easily entertain a service of your choosing after analyzing the service description and the tariff for it. 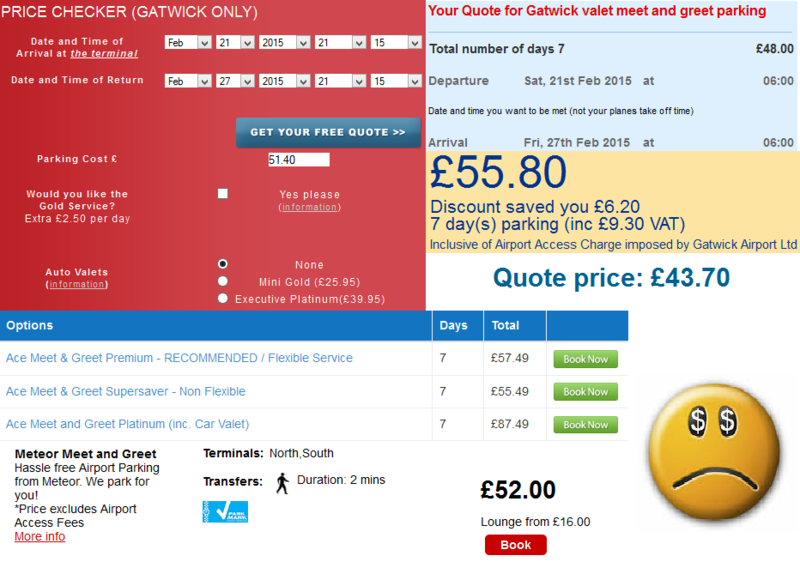 Mobit Airport Parking endows with the facility to double check the pricing against the service description at 1 place. No need for going site to site on a wild goose chase when it can be done at a single platform. Isn’t it convenient when you know what to go and how to do? Specially, where to go to get it done? Mobit Airport Parking is at your service to bring you reliance and comfort at the same time. Chose wisely and travel safe and happy…! Previous PostRecord Season for Manchester Airport.Next PostThe Fervencies of Facilitated Travel via Meet and Greet Parking.